It sounds like he bit off more than he could chew? Hopefully they get judge that understands that selling wine at a loss won't pay off a debt. Not a business guy but not sure why a bank would call in the note, sell the assets at a loss, and hope to make a profit. Unless they want the business/brand for themselves and sell it for more than it is worth. Robert: I don't see how the Cameron Hughes brand has any value without Hughes himself. But that may be where it's heading. Also file under "don't do business with dumb bankers who don't know your industry." 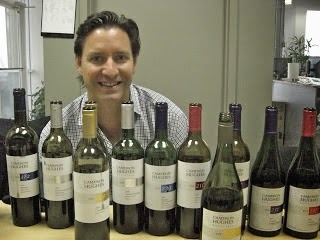 I'm pulling for Cam as well, love his wines. Given his track record and standing in the wine community, he should be able to replace much of his debt with equity investors if worse comes to worse. Robert, the bank isn't trying to make a profit for the business. The bank is only trying to recoup their loan. They have no interest in the long term viability of the business and will leave a burned out smoking husk in their wake if that's what they feel is the most efficient means to their recovery. He might have 25M worth of inventory under normal sales models, but if the bank thinks they can dump it at a loss for 15 and the bank gets their loan paid back then that is what they will push for. Think more Mr. Potter and less Jimmy Stewart. Debt is never good, but at least he's not totally floundering at the moment. I would caution against investing in anything that isn't a sure thing though, and even more so if your finances never looked good to begin with!